Cruise Disembarkation, Baltra Island - At the end of your cruise, you will return to Baltra to say farewell to the enchanted islands. After your last zodiac ride and a short bus ride, you'll arrive at the Baltra airport for your onward journeys. 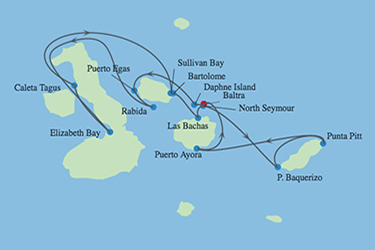 Roundtrip from Baltra and calling on Daphne, Puerto Egas, Rabida, Elizabeth Bay, Caleta Tagus, Sullivan Bay, Bartolome, Las Bachas, North Seymour, Puerto Baquerizo, Punta Pitt, and Puerto Ayora. 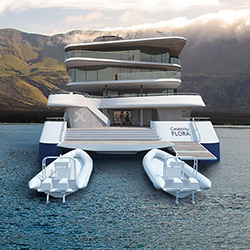 Book a 7, 10, or 11 night Celebrity Flora Galapagos vacation package and receive 50% off second guest fare, plus roundtrip airfare on 10 and 11 night packages. Offer ends 6/5/19.